Our client, a leading retail and foodservice supplier, has an exciting opportunity available for a driven and experienced Commercial Buying Director. As Commercial Buying Director, you will be responsible for leading, driving and developing the commercial, purchasing and inventory functions of the business. You will be tasked with reducing costs and improving margins, own brand development, inventory control and category and range management. Working in tandem with other key sectors of the business such as Operations, Sales and Marketing to strengthen the commercial product offering and strategic direction of the businesses. You will have ownership of the commercial product range from sourcing to sale including pricing strategy and margin control. You will build strong relationships across the business and use these, along with your natural commercial acumen and instincts to identify and shape the commercial vision and strategic approach for the business. This is a fantastic opportunity for a dynamic Commercial Director or Purchasing Manager to join a market leading company and become a prominent influence and thought leader within the business. 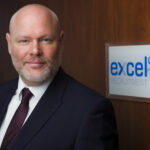 If you have the necessary skills and experience and are interested in this Commercial Director job, please apply below for the attention of Barry Whelan, CEO of Excel Recruitment. All applications will be treated in the strictest confidence.